Boho earrings in fabulous shades of teal blue glass made with long spindle beads with a warm Picasso finish that dangle from bronze filigree. I added another teal blue fire polished glass bead on top. 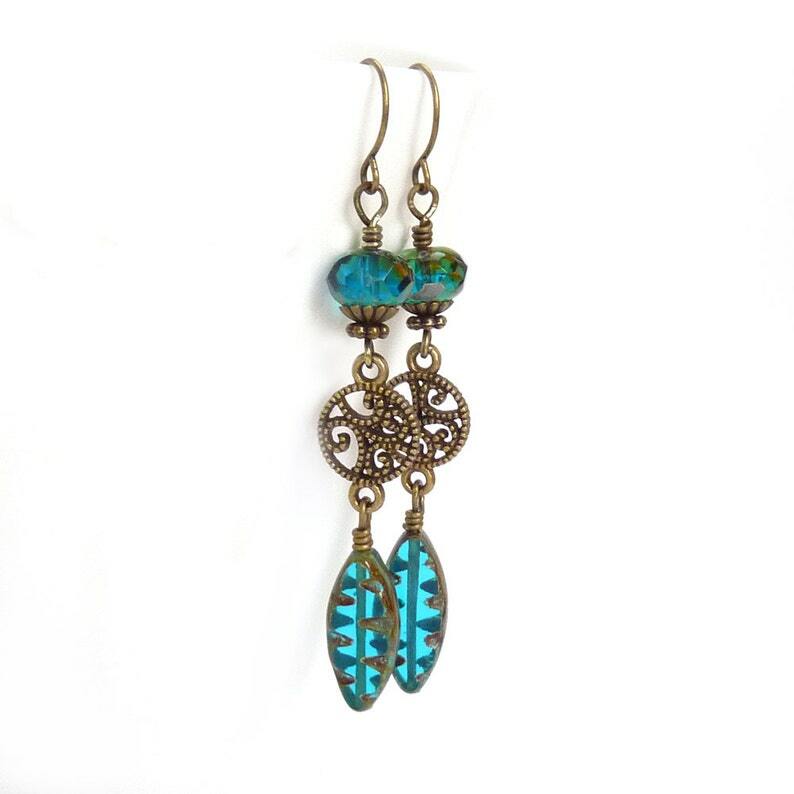 These earrings have a great boho look and they're super lightweight and comfy on the ear.